It’s no secret that train fares in the United Kingdom are among the most ridiculously high in the whole world. Nevertheless, it’s really getting to something when you can literally buy a car, tax it, ensure it and drive it all the way from London to Bristol, in order to save money on a one-way train ticket. Incredibly, that’s exactly what one resourceful chap by the name of Tom Church managed to do. Both as an experiment and to prove a point, the 27-year-old decided to seek alternative transport arrangements after deciding the price of the train ticket was completely unacceptable. He’d also discovered there are plenty of other people were just as unhappy as he was with the excessive fares on this particular route. 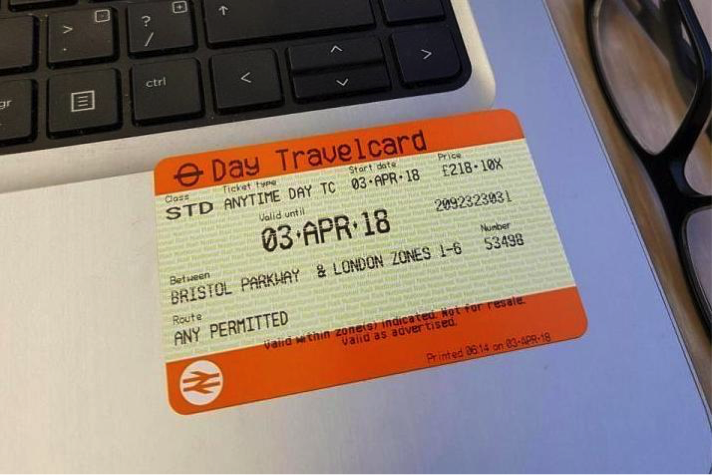 “The idea came when I saw a man share his ridiculously priced train ticket on Reddit,” he said. While it seemed like something of a long shot, he nonetheless set about the search for a cheap car and quickly found an incredibly cheap 1997 Honda Civic for sale. The cost of the car was £80, his road tax cost him just over £81, insurance for one day came in at £20 and the petrol cost £25. In total, the entire price came out less than that of the one-way train ticket. “I found the car on Gumtree. The lady I bought it from was basically selling it for scrap,” he said. “The total cost was £206.81. Less than just one train ticket. And I still have a car at the end of it! Though Mr. Church clearly decided the car was worth hanging on to, he could have saved even more money on his trip by recycling it responsibly at the other end! Here at Take My Scrap Car, we’re not typically in the habit of encouraging the use of cars that are largely fit only for the scrapheap. Nevertheless, it’s stories like these that just go to show how needless it is to allow cars of any kind to go to waste. And even when you think your old car doesn’t have any value left in it, there’s always a way of earning at least somethingfrom it! For more information about responsible car scrapping and recycling, get in touch with a member of the Take My Scrap Car team today.